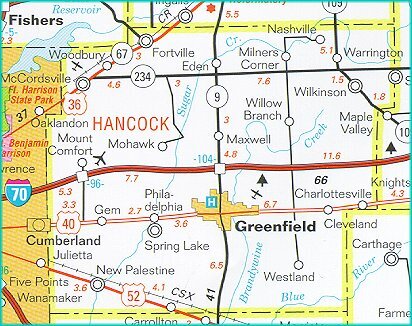 Hancock County (pop. 70,002) is west of Henry County. Its population has gone up steadily since the 1940s, thanks to its proximity to Indianapolis, just to the west. It’s one of 10 Hancock counties, all named for American patriot John Hancock (1736-1793). 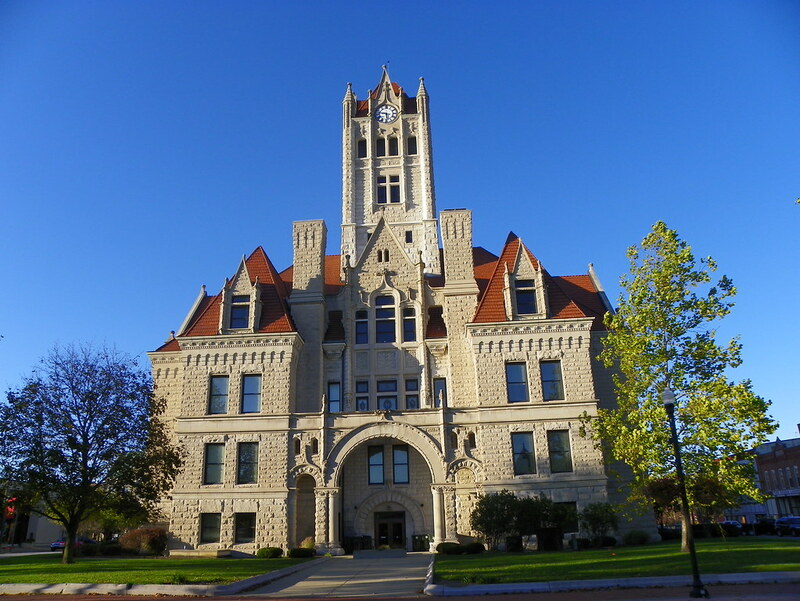 The county seat of Hancock County is the city of Greenfield (pop. 20,602). Poet James Whitcomb Riley (1849-1916) grew up in Greenfield. His childhood home is now a museum. Greenfield has an annual Riley Festival. The Lilly Biological Laboratories in Greenfield are on the National Register of Historic Places. They were built in 1914 for the Eli Lilly Company. 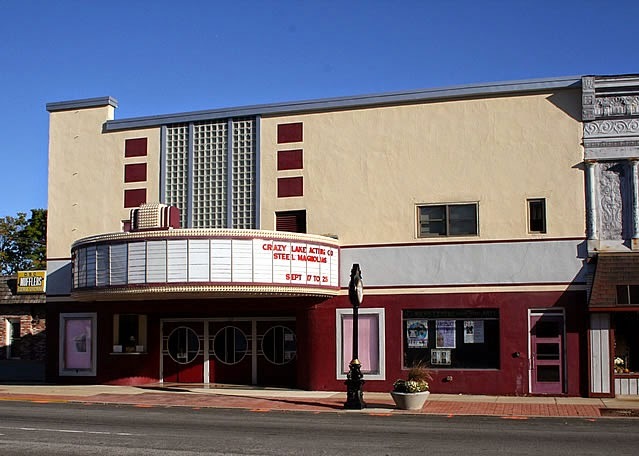 The Ricks Centre for the Arts is in the former Weil Theater (1946). Northwest of Greenfield, the town of Fortville (pop. 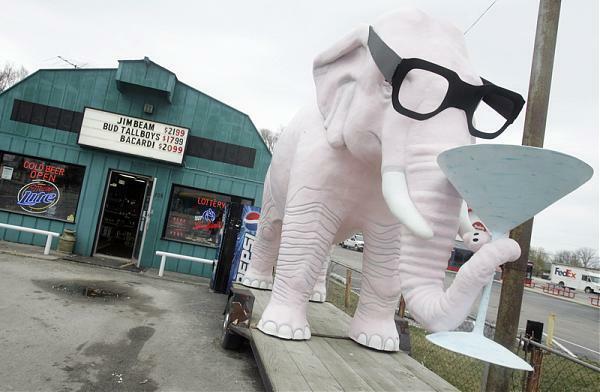 3,929) has a martini-drinking pink elephant statue outside a liquor store. In the town of McCordsville (pop. 4,797), the McCordsville Barbershop is inside an old caboose. This entry was posted in Indiana and tagged Eli Lilly, Fortville, Greenfield, James Whitcomb Riley, McCordsville.